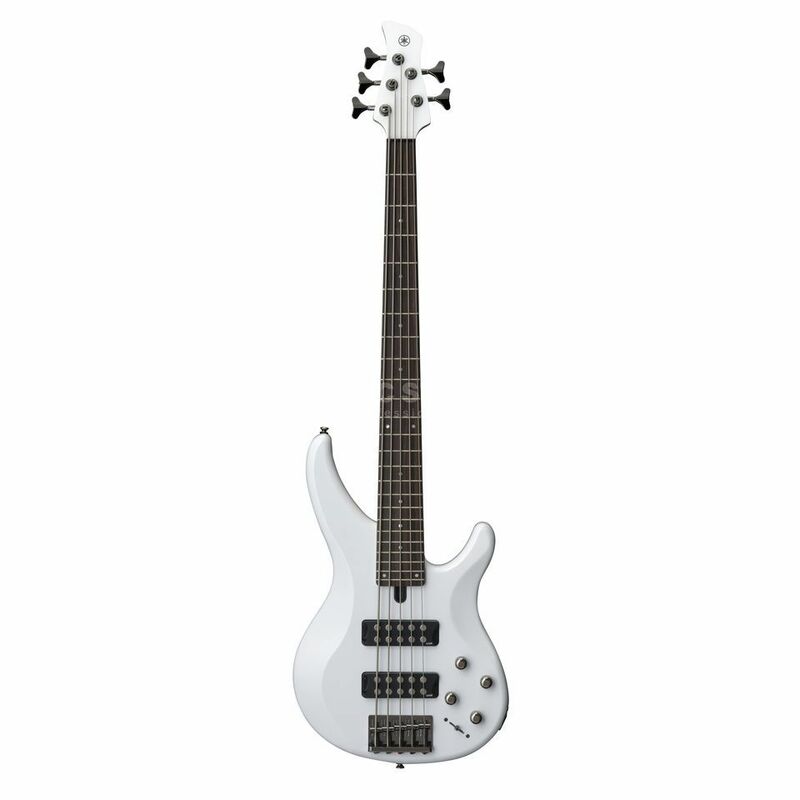 The Yamaha TRBX305 5-string bass guitar in White brings the best features of the acclaimed TRB and RBX models together in one instrument. The TRBX305 features a sculpted mahogany body that has been designed to provide the ideal balance between comfort and weight along with perfect weight distribution. Accompanying the body is a 5-piece maple/mahogany neck that is topped with a 24-fret rosewood fingerboard. On the hardware front, the Yamaha TRBX305 is equipped with a pair of ceramic M3 humbucker pickups that provide a clear and powerful tone that drips with depth and definition. These are connected to a 5-way EQ style switch that allows for 5 distinctly different EQ settings to be easily achieved. The look is finished with a high-mass die-cast bridge that is finished in black nickel.